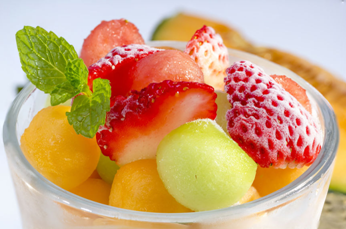 Fruit pulp is the most basic food product obtained from fresh fruit processing. Fruit pulps can be cold stored for long periods of time. Why is pulp processing important? 01. Adds economic value to fruits. One advantage of processing fruit pulp at industrial level is thatfruits, that are native to a particular region, can be consumed by people all over the globe. 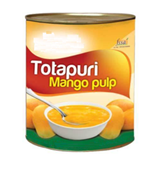 Consumption of fruit pulp is rising continuously due to the consumer preference for healthy food products. 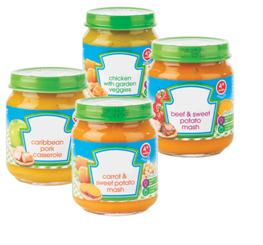 In the food processing industry, fruit pulp, a commonly found product, is often used as an ingredient in manufacturing of fruit jams, jellies, nectars, puddings, baby food products and dairy beverages. Fruit pulp can be sterilized and aseptically packed in pouches. It can also be packed in cans, hermetically sealed and retorted. Frozen pulp is often pasteurized and deep frozen in plate freezers. 1. Fruits are weighed and evaluated in terms of quality. 2. Pre-selection is done in order to exclude fruits improper for pulp production. 3. Fruits are washed, and undergo a sanitization process with chlorinated water (10-100ppm, according to fruit type). Then, fruits are rinsed to remove chlorine residue. 4. 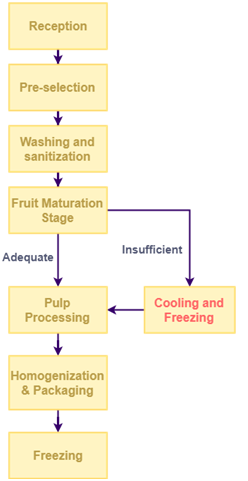 Maturation degree of fruits is evaluated; only the fruits suitable for obtaining good quality pulp are forwarded to the processing zone. 5. During processing, pulp finishers equipped with sieves of different meshes are used to retain peels, seeds and other fruit portions. 6. 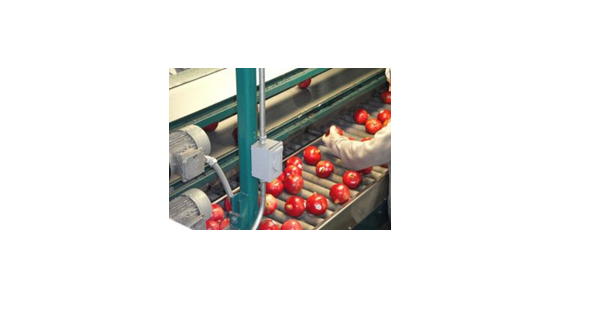 If required, acidulants or preservatives are added at the homogenization stage. 7. The product is packed and stored at suitable temperatures to maintain nutritional, organoleptic and microbiological characteristics of the fruit pulp. It can also be used as a sweetener in snacks, juices, yogurt and ready-to-drink smoothies.